Heirloom tomatoes vs. hybrids – what is the difference? The controversy over whether to grow heirloom tomatoes or hybrid tomatoes has been known to spark passionate debate between normally level-headed gardening aficionados. Both varieties have strengths and weaknesses. We’ve dug up the dirt so you can choose for yourself. Heirloom tomatoes are varieties that have been reproduced for generations. They’re true to their type from their own seed. Gardeners appreciate their consistency. Like hybrids, they can be eaten raw or cooked. Some heirlooms have production histories spanning hundreds of years. A tomato variety is considered an heirloom if it has been cultivated for at least 3 generations without cross-pollination between varieties. There can be a bit of confusion about the difference between heirlooms and open-pollinated (OP) tomatoes. Heirloom varieties are considered to be open-pollinated (OP). But all OP's are not heirlooms. The difference has little to do with seed purity and more to do with documentation. An heirloom is an OP tomato with a verified history. It has been documented and verified for purity when passed down within a family or community, like a treasured quilt or precious diary. Stability. 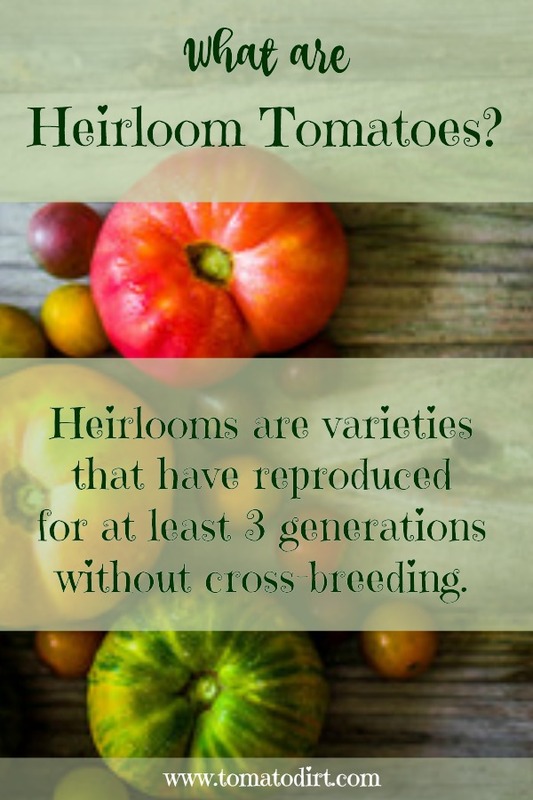 Heirlooms produce large numbers of seeds and bear tomatoes identical to parents. Taste. Heirlooms are considered flavorful, and even superior to commercially-produced varieties. Disease-resistance. Heirloom fans argue that their preferred varieties have a long record of producing healthy tomatoes. Hybrid fans disagree. Individuality. Many heirlooms have unique shapes and sport a variety of colors, including purple, yellow, white, orange, pink, red, green, black, and striped. Individuality. Same coin, different side. Some gardeners and consumers don’t want unusual, misshapen, or inconsistent tomatoes. They simply want red, juicy ones. Productivity. Heirlooms take longer to mature and produce fewer tomatoes than hybrids. Hybrid tomatoes are a cross between two genetically different tomato varieties. With a hybrid, you get the best qualities of both parents. Commercial growers like hybrids because they are predictable. Home gardeners prefer them because they present fewer problems. Productivity. 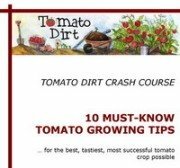 Most agree: grow hybrids, you’ll harvest more tomatoes. Disease-resistance. Hybrids have a reputation for not being as susceptible to diseases and pests as their heirloom counterparts. Strength. Hybrids produce even in bad weather and questionable growing conditions. Consistency. Hybrids are known for yielding tomatoes of similar size and with fewer blemishes. Longevity. Harvested hybrid tomatoes have staying power. They endure the ride to Grandma’s house or the long hours on the roadside stand better than heirlooms. Flavor. Most gardeners agree that hybrids aren’t as flavorful as heirlooms. Instability. Call it a genetic breakdown if you must. Long term, hybrids just don’t produce seeds as strong as what birthed them – according to experts. However, many home gardeners claim they save hybrid seeds year to year which produce seedlings and fruit that is true to the original hybrid.